The blog on the Daughters of Saint Paul website for young women who are discerning with us is running a lovely series of posts for Advent that I thought you might find helpful. “…It is necessary to detach ourselves from a voluntaristic or moralistic approach to the spiritual-apostolic journey and entrust ourselves to the love of the Father, who, through the Spirit, forms Christ Jesus in us. It is the Trinity that carries out this work of conforming the life of the believer to Christ, to the glory of the Father and for the growth of the Kingdom of God. In keeping with that focus, a good friend and I were talking about our favorite prayers to the Holy Spirit, and she shared this video of the famous advice and prayer to the Holy Spirit written by Cardinal Mercier. It is powerful advice and a powerfully beautiful prayer. This week, November 4-10, 2018, is National Vocation Awareness Week, with a special focus on discerning the call to priesthood, religious life and diaconate. In these difficult days for the Church, it can be especially hard for young people to discern whether God is calling them to dedicate themselves totally to building the kingdom of God. Please join this week in praying for the holy vocations that the Church and the world so desperately need. God continues to “come down” to save our human family and to make us sharers in his mission. The Lord continues to call others to live with him and to follow him in a relationship of particular closeness. He continues to call others to serve him directly. If he lets us realize that he is calling us to consecrate ourselves totally to his kingdom, then we should have no fear! It is beautiful – and a great grace – to be completely and forever consecrated to God and the service of our brothers and sisters. Today the Lord continues to call others to follow him. We should not wait to be perfect in order to respond with our generous “yes”, nor be fearful of our limitations and sins, but instead open our hearts to the voice of the Lord. To listen to that voice, to discern our personal mission in the Church and the world, and at last to live it in the today that God gives us. May Mary Most Holy, who as a young woman living in obscurity heard, accepted and experienced the Word of God made flesh, protect us and accompany us always on our journey. If you need inspiration in praying for vocations, check out this collection of vocation prayers hosted on the USCCB site. There are over 40 prayers—more than enough prayers here to choose a different prayer for every day this week! This reading from Ecclesiastes reminds us that God guides the events of our lives, and that there is a gift from God in every season, or time, that we live in. The very temporariness of the time we live and the transitions we undergo are a reminder of the timelessness of God and the longing for the eternal that God has put in our hearts. “God has made everything appropriate to its time, and has put the timeless into their hearts” (v. 11). This line is probably why I most often hear this passage read at funerals—and it is a great choice for a funeral Mass. And yet, this passage has so much wisdom to offer at other times, even as we journey through the seasons of nature. The seasons of nature can be reflected in our spiritual life. Sometimes, when a great deal is going on in our lives, an “easy in” to reflecting on what is happening interiorly is to look at our spiritual life in this light of what season we are living.Perhaps as you read this—or another time today—you can take a few moments to reflect on what spiritual “season” or “moment” from Ecclesiastes 3 you most identify with at this time in your life. …Autumn constantly reminds me that my daily dyings are necessary precursors to new life. The bittersweet richness of autumn in nature has made it my favorite season, because it always seems to speak to wherever I am in the spiritual life. Autumn is a season where change is perhaps most striking in nature. Above all, autumn is a season for the strenuous work of reaping and harvesting, and for enjoying the fruits of the harvest. All the aspects of the season of autumn are connected to the most stark result at its end: the death or seeming-death of the natural world surrounding us, so much so that it changes from rich shades of green to a dull brownish-gray. What is so powerful about this aspect of autumn is that, if seen as part of the whole of all four seasons of the year, autumn also becomes a time of preparing for new life. Clearing the gardens and even planting the bulbs which will stay buried deep in the ground all through winter, but will burst through and blossom in the spring. In our spiritual lives, we can be going through “autumn” when we are living a time of transition—with something ending and something else beginning. It is a time to recognize the gifts and graces that we have received—and their transitoriness gives a special intensity to our gratitude. The spiritual season of autumn can be a time for a fresh start, but it can also be a time of loss accompanied by grief and a sense of emptiness. It can be a time of hidden preparation for something that we cannot yet imagine. Spiritually, our season of autumn leads us to live in the spirit of the Cross—the daily “dying to self” that all Christians are called to. We witness and benefit from this self-emptying love of Christ every time we participate at Mass. And we are called to daily share in the suffering and death of Jesus, the “dying to self” that means carrying the Cross entrusted to us. Following Christ means that we are called, in a way, to always live in the “spirit” of autumn—that generous, self-giving spirit that lets go—when it is time—to whatever is precious and to allow ourselves—like a brilliant maple leaf—to float to the ground, trusting in God’s loving care. For me, the beauty of the falling autumn leaves helps me to recognize the beauty of my living Jesus’ self-giving love: the dying-to-self kind of love. Even when it is painful. Even when I am tempted to cling to what I know I need to let go of. Even when I am terrified of letting go. Because a really important aspect of following Christ is that we come to know and trust, on a deeper and deeper level, who God is for us: the God who always brings new life. Ecclesiastes 3 is a powerful reminder of who God is in our ever-changing lives: that God provides in each season for us, and that we are always—especially when we don’t feel like we are—cherished and being brought to resurrection. Truly praying this passage from Ecclesiastes is an act of trust, an act of surrender that God will be with us in every season. Prayer Suggestion: Take some time to read and reflect on Ecclesiastes 3:1-11, and conclude your lectio by praying it as a canticle of surrender to God’s plan for your life. Below is a video-version of the Letter from the Synod Fathers to young people. (If you prefer to read the text version, you can do so here.) I have not yet been able to find a copy of the final document–I am eager to read it to see how the Synod spoke about discernment–but when the English translation is made available, I will post a link. In the meantime, you can watch or read the Letter, or check out this very quick summary of the final document of the Synod. On the first day, Pope Francis expressed his hope that the Synod on Young People, the Faith, and Vocational Discernment will itself be a real exercise in discernment: above all, in the Church’s attentive listening to young people. Truly discerning together is an amazing work of the Holy Spirit present in a community. I have experienced communitarian discernment both at international meetings and in my community, but it takes a lot of work, and even when people of good will gather together, true community discernment doesn’t always happen. You can read the entire text of the opening remarks of Pope Francis here. In today’s Office of Readings, we are offered some discernment wisdom from a saint. We follow the discernment of a young woman—already a cloistered Carmelite—who seeks to discover the core of her vocation/mission in the Church. She turns to Sacred Scripture—specifically, the Letters of Saint Paul and finds her answer in the Letter to the Romans. This month of August, 2018, I’ll be leading the spiritual accompaniment on My Sisters, an online community devoted to helping people meet Christ and experience his love in their daily life. Created by my community, the religious sisters of the Daughters of Saint Paul, My Sisters is a portable and accessible “sacred space” for asking the big questions, exploring the faith, and nurturing our identity as God’s beloved one, no matter where we are in our walk with the Lord. The spiritual accompaniment every week includes: a printable (downloadable) reflection guide, two live Facebook sessions—one session on Monday night at 7 PM EST and the second is a Thursday night Q & A/check-in for the week (also at 7 PM EST), occasional posts and polls in the group, and the opportunity to comment and share with other members of the group. The reason I am letting you know about it is that, in great part, my sessions will be loosely based on the first part of this CoAuthor Your Life with God blog-which-is-becoming-a-book. 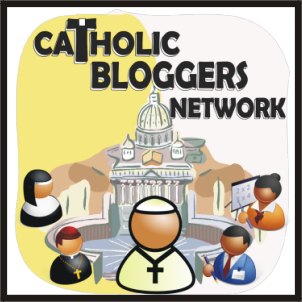 If you have enjoyed the blog, would like to ask further questions, would like the book to include particular content, or simply want to explore discernment with a group of dedicated Catholics, you might want to join in for the month of August! I would love to have you join us! To find out more or to join, simply visit: https://MySisters.blog You can also visit the public page on Facebook to see the reviews.